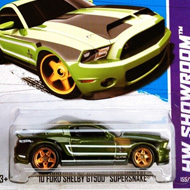 233/250 is part of the HW Showroom series and the 2013 Super Treasure Hunt set. 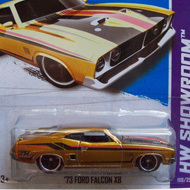 The El Camino features brown Spectraflame paint with tan, brown, and purple stripes on the sides and top, plus “TH” on the sides. It has tinted windows, a black interior, Real Rider 5-spoke mag-style wheels with gold chrome rims, and a chrome plastic Malaysia base. 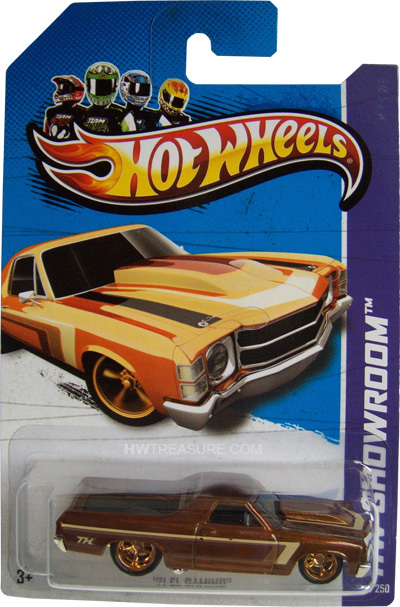 The Chevrolet first appeared in the Hot Wheels Garage series from 2010 and is based on the actual vehicle.